The Edit cover star Vanessa Paradis is a devotee of Maison Michel's impeccably handcrafted hats. This black rabbit-felt 'Virginie' fedora is the perfect way to top off your fall and winter looks. 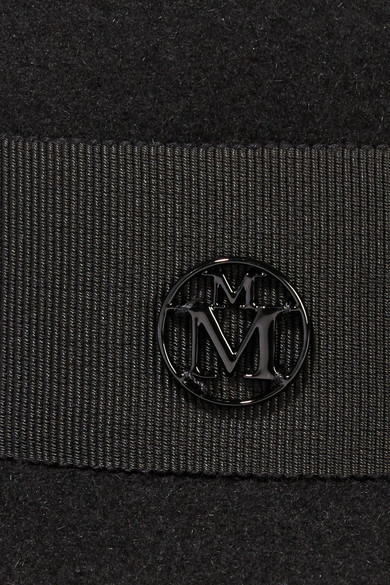 It's finished with a tonal grosgrain ribbon and discreet metal 'M' charm. 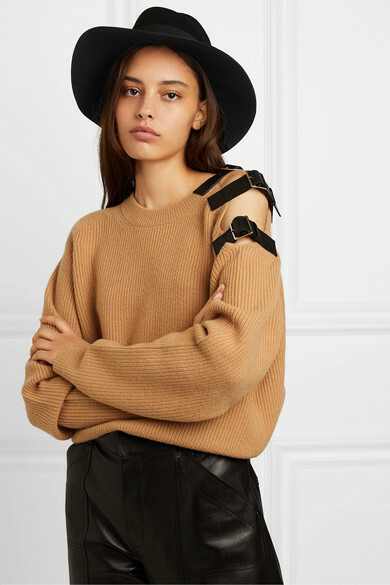 Shown here with: J.W.Anderson Sweater, Chloé Ear cuff.